The American Planning Association (APA) worked with the Trinidad Neighborhood Association to organize a Community Planning Workshop prior to APA’s Federal Policy and Briefing Program and Fall Leadership Meetings in Washington, DC. 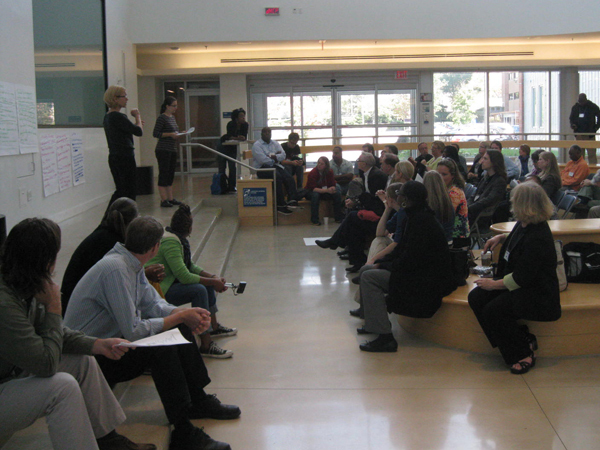 This was an opportunity for planners from around the country to participate in a pro bono community planning effort. Planners met and worked directly with residents and stakeholders of the historic Trinidad neighborhood along with representatives from city agencies to engage in idea-generating and problem-solving discussions on: affordable housing, economic development, and connectivity to nearby business corridors, among others.